Gain the title of Thane of Eastmarch. This is a radiant quest which you can receive from either Brunwulf Free-Winter or Ulfric Stormcloak, whichever is the jarl of Eastmarch. The jarl lives in the Palace of the Kings in Windhelm. Befriend the Jarl of Eastmarch by progressing through the civil war questline. Assist the people of the hold. This is an umbrella quest, involving several other quests that must be completed if you wish to become Thane of Eastmarch. You will have to capture Falkreath for the Stormcloaks (if you joined the Stormcloaks) or complete the Battle for Windhelm (if you sided with the Imperials) before this quest becomes available. Once you have completed the prerequisite, speak with the jarl again and he will ask you to aid the people of the hold. You must assist five people in the hold, usually by completing favor quests for them. Note that many of the quest givers are non-essential NPCs, so their deaths would result in a loss of potential quests to complete. If they die after you assist them, they still count towards your Thane status. Also, you can befriend merchants if you have the Investor perk by investing in their stores. You must also purchase Hjerim, which costs 8,000 to 12,000 gold. Simply purchasing it is enough; there is no requirement to decorate, although it becomes more useful if decorated. Note that it cannot be decorated unless you have completed Blood on the Ice, and if you have not started that quest yet you should start it before entering Hjerim. Highlighted quests can be easily completed without any skill use. Aventus Aretino Windhelm Innocence Lost: Help an orphaned child avoid being returned to a sadistic caretaker. Hillevi Cruel-Sea Windhelm Delivery: Deliver a bottle of Nightshade Extract to Wuunferth the Unliving. 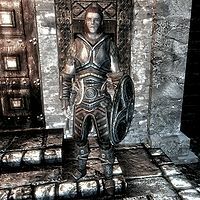 Revyn Sadri Windhelm That Was Always There: Return a ring to its rightful owner. Dravynea the Stoneweaver Kynesgrove Dravynea's Frost Salts: Find some frost salts for Dravynea the Stoneweaver. Derkeethus Darkwater Crossing Extracting an Argonian: Rescue Derkeethus from his Falmer captors. How can I serve you, my Thane? After helping five inhabitants, the journal tells you to return to the jarl. The reward, the Axe of Eastmarch, is a random, leveled, enchanted axe. There is a 50% chance that it will be a war axe (one-handed), and a 50% chance it will be a battleaxe (two-handed). You will also receive a housecarl named Calder, who will be waiting for you at Hjerim. Interestingly, when naming you Thane, Ulfric and Brunwulf do not say "Wouldn't want them to think you're part of the common rabble, now." like most other Jarls do. After finishing the quest "Battle for Windhelm" for the Imperials, Brunwulf Free-Winter sometimes won't appear in the Palace of the Kings. 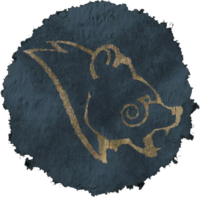 All Stormcloak-supporting jarls and their housecarls will be there sitting at a table, but without Brunwulf in the palace. Without him, you are unable to purchase Hjerim or become Thane of Eastmarch. One of the possible fixes: use the Unrelenting Force shout on everyone at the dinner table. This will give you a bounty in each of the holds that the jarls are from. Travel out of Windhelm and return. Using console command addfac 00050920 1 gives him new dialogue and outfit, but he still will not reside in the Palace of Kings. However, he should give you the Thane dialogue if you have already helped 5 citizens. After finishing the quest "Blood on the Ice", Ulfric Stormcloak sometimes won't offer the Dragonborn thanehood(Favor254). ? On the PC, it is possible to use the console to advance through the quest by entering setstage Favor254 stage, where stage is the number of the stage you wish to complete. It is not possible to un-complete (i.e. go back) quest stages, but it is possible to clear all stages of the quest using resetquest Favor254. This page was last modified on 7 April 2019, at 04:04.